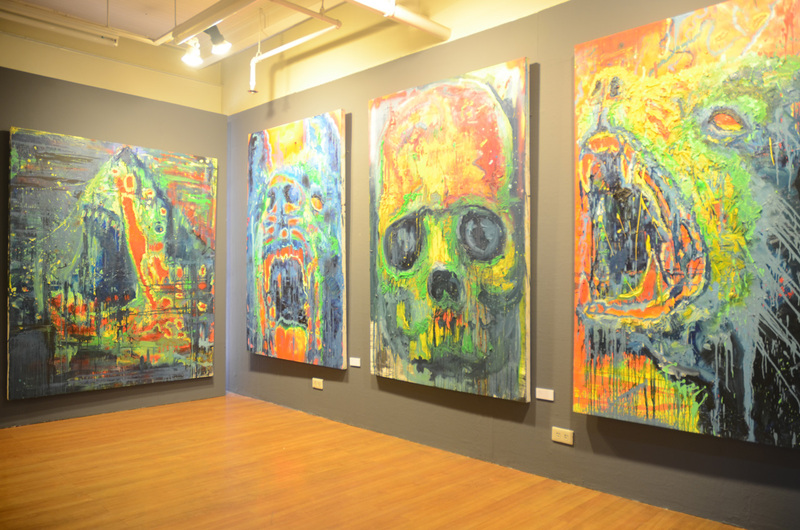 When Joseph Tecson first painted in prison, he was doubtful he would make something good out of it. He painted initially at the insistence of his brother and because there was an urge to pass time productively. That was the simple reason. Each week, throughout the four years and twenty days he was incarcerated for a case he would later be acquitted for, his creations, which he considers a part of himself, would get out and occasionally get sold in a gallery. For Joseph, this was a rewarding escape, like a vicarious jailbreak. Whatever the circumstance, it was a sign of great confidence to pick up a brush or lopsided wager. It was the stuff of poetic justice movies, starring the rebel painter, the outsider (or insider depending on how you look at it)—it was a position he enjoyed ever since and one that curiously informs the allegories replete in his work. 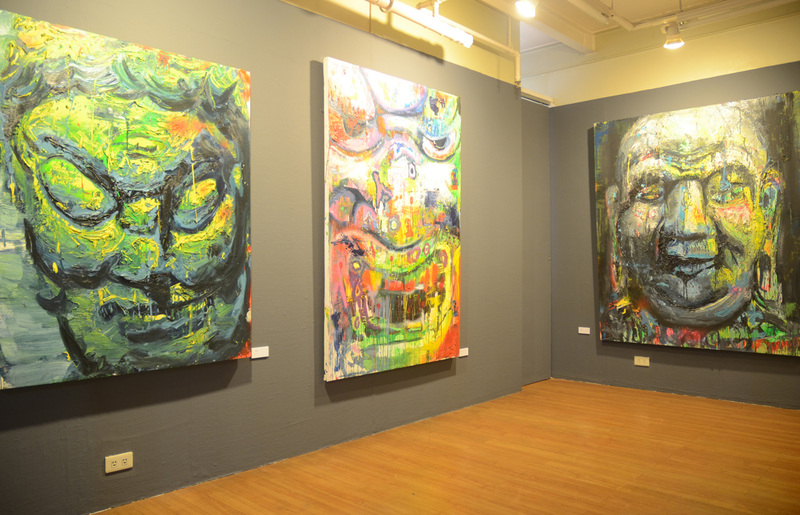 Joseph Tecson’s canvasses are immediately recognizable, which is often a desirable quality in painting, especially when the artist is prone to experimenting with different techniques and exploiting a intensely personal vocabulary. 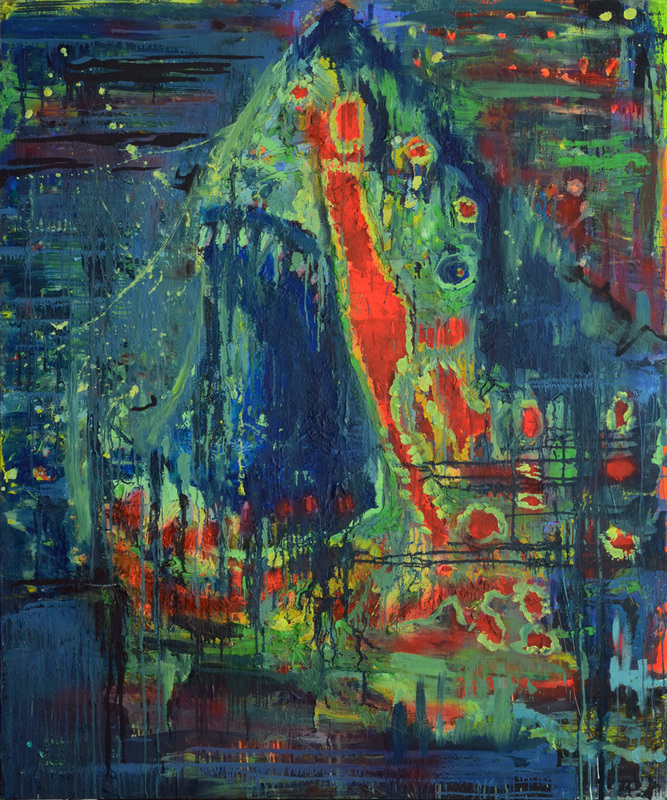 His distinctive marks follow a deeply instinctive style and are revealed across a specialized choice of subjects, from religion and history to science fiction. The paintings embrace both the ambitions of mid-twentieth century gestural abstraction and the aesthetic abandon of a Georg Baselitz. He revels, unabashed, in pure painterly pleasure, giving in to the flow of his turpentine washes and glossy impastos. 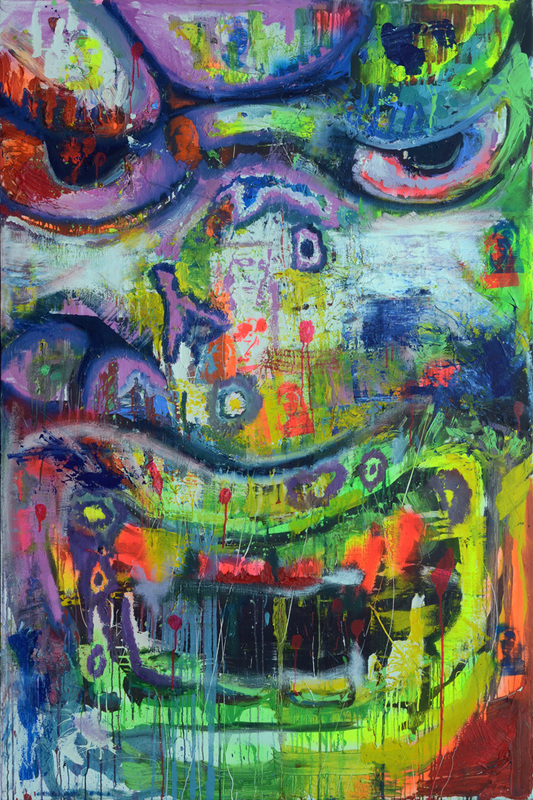 Much like Daniel Richter, Tecson gets to the heart of paint, capturing a magnetic vibrancy through texture, richness of color, and illusion of light. He composes an exuberant and luscious otherworld, made all the more believable by the invention of, and adherence to, his own rules of image-making. 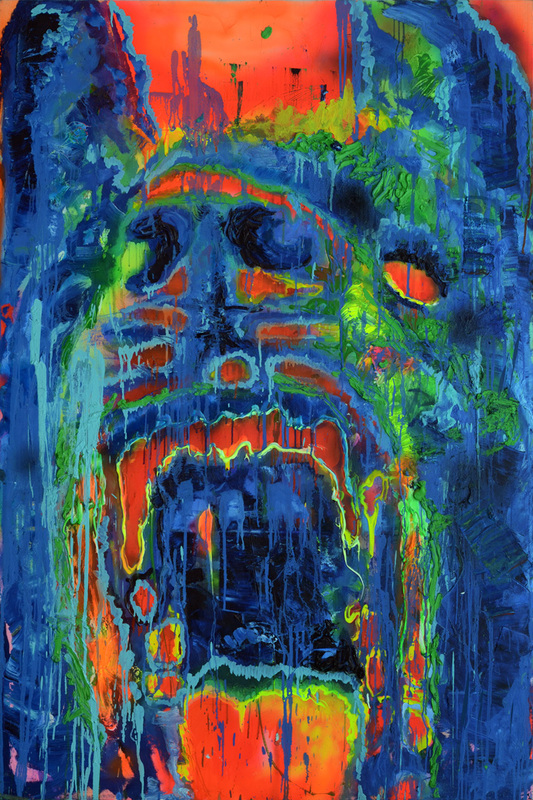 Probably the most noticeable attempt in Destroy the Cages is how the works subvert the genre of portrait painting. 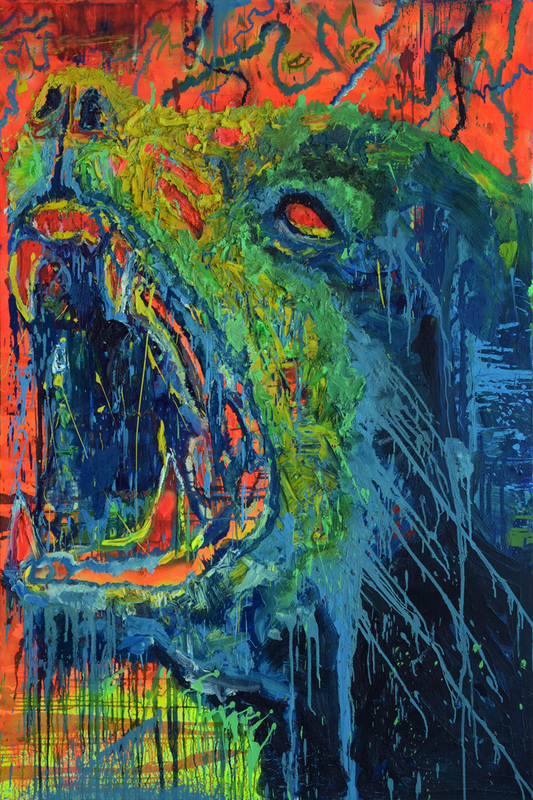 Often working from media images, his large-scale paintings reconstitute current images as timeless expressions, spinning the anxiety of contemporary zeitgeist into an overwhelming icon of allegorical terror-fantasy. 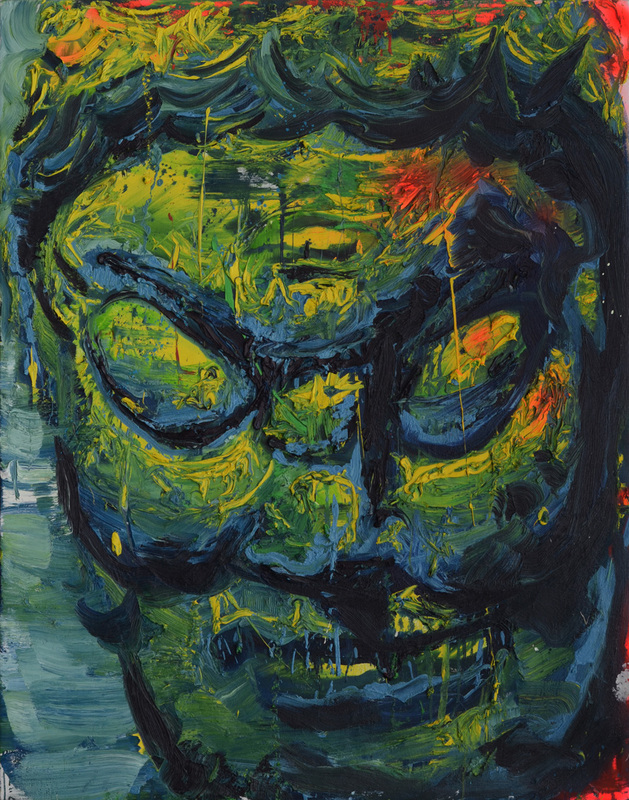 In this suite of works, Tecson contrasts the peace and chaos of Buddha face statues and rabid dogs. The figures are given a violent, ecstasy-hyped presence, radiating with a supernatural aura. The carnal tone is infused with a malefic tension; a drugged out Saturday night reconstituted as an imperious recollection. The neon background floats the images and their presence becomes more animate. Joseph Tecson choreographs his subjects in compositions that embody a spirit of the ghoulish, almost Shakespearean tragedy in nature. 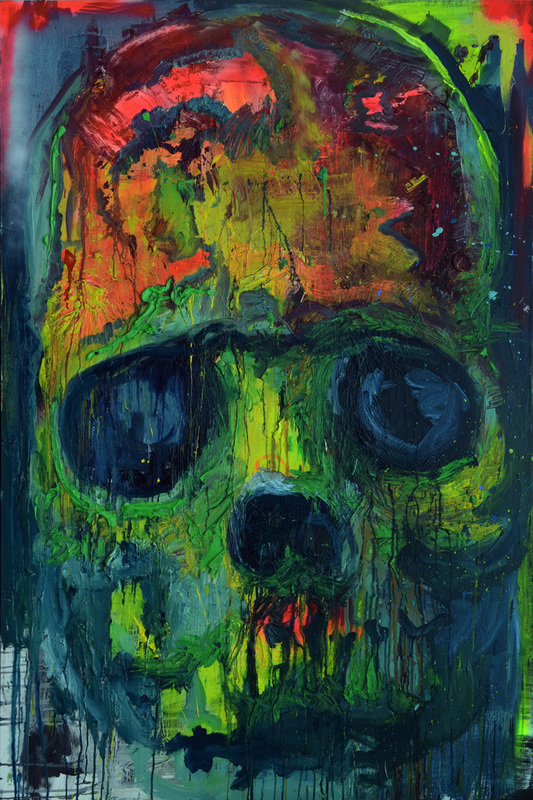 The Skull, famous as a prop in Hamlet, is now staring back at the audience and is studying them as they are in turn studied, aware of their ancestors from the Grand Theme works of the past, the genre paintings that inform them, the personal experience of imprisonment. Although a haunting sense of premonition, discomfort and unease is palpable, a sense of understanding, concern and hopefulness for his characters is still evident in the heavy impasto paintings. 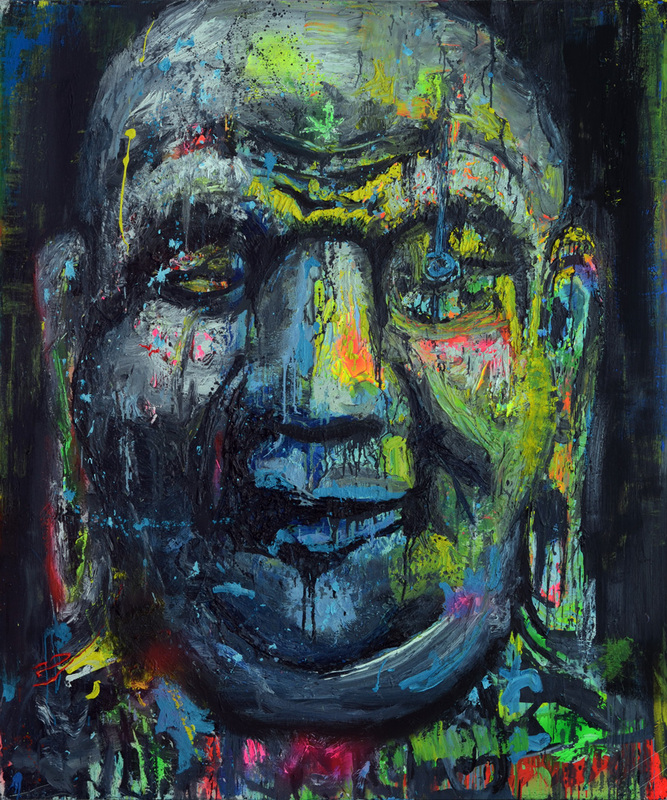 His sculptural use of oil paint references his days in prison, as an escapist sensibility affords his paintings unparalleled depth and energy bottled up inside the stone Buddha or a cage of a prison cell.